If you’re a DJ who wants to play out but isn’t exclusively targeting club gigs where you just “turn up and play”, then having your own gear is a definite advantage. 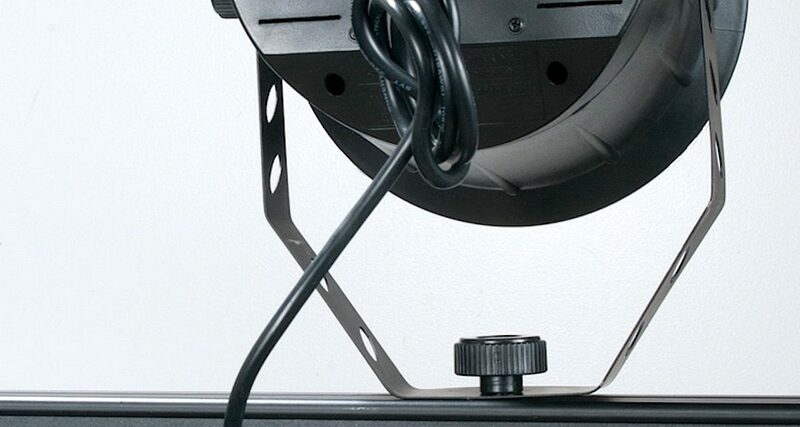 And once you have the basic audio gear, naturally you’re going to think of lighting. 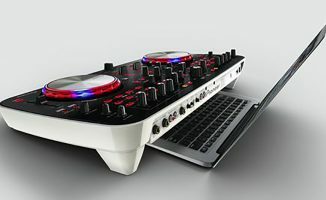 For your first purchase, you could do a lot worse than something like the American DJ Dotz TPar system, which we review today. You get a lot for your money here. The unit is sturdy, metal-built, with three separate elements: The lighting bar itself, in a protective, internally foam-moulded bag for protection; the very heavy-duty extendable tripod with safety clips, again bagged; and a metal four-control footswitch, plus all necessary leads (something you don’t always get with lights), plus a remote control. 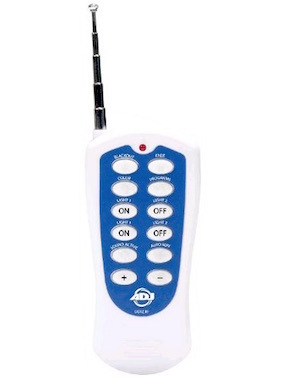 When was the last time you saw a remote with an aerial on it? This one has – and claims 25 metres coverage, which may explain why. Setting up is simple and fast: Put up the tripod, pop the lighting bar on top, plug it in to the mains electricity, attach the safety clips to secure everything, and decide if you want the lens kits on or not (they focus the beam from each light to concentrate the effect on the dancefloor, for instance, or allow the beams to be much wider, for more mood-style lighting). The four lights themselves are 30W COB LEDs, low heat emitting and reliable and streets ahead of old-style lights of the same brightness, and the bar has attachments for putting two more lighting units of your choice on the top of it, which can be wired in using mains sockets, again built in at the back: A smart move. The footswitch if needed can be wired in, and once all this is done, you’re ready to go. The unit is controlled either by the LED panel and buttons on the back, by the wireless remote control, or by the wired footswitch. It has a number of modes. 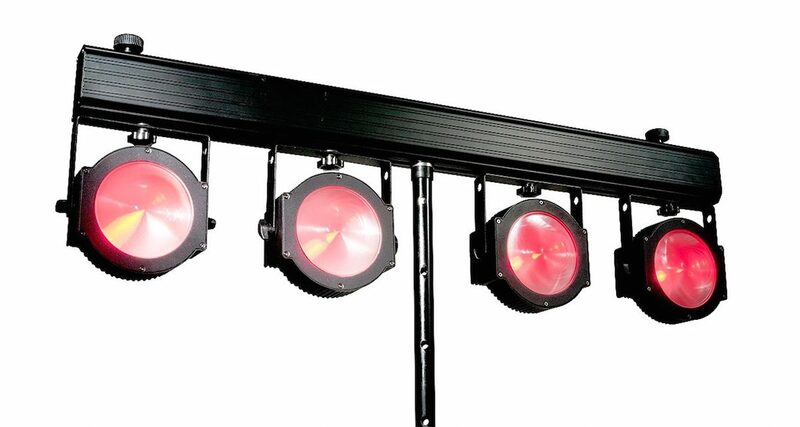 The one most beginner lighting users are likely to use is simply the one that listens to the music and reacts accordingly. Adjust the sensitivity so it’s working how you like, and that’s it. You can use the remote control for things like basic on/off (“blackout”), and also for independently controlling any other light fittings you may have attached, like a strobe, for instance – a nice touch. A nice feature is the mountings for additional light to go on top, which can then be wired in for power to the main unit. The unit has a whole host of presets, from subtle mood lighting to full-on pulsing, strobe type effects, so you can choose those as well. 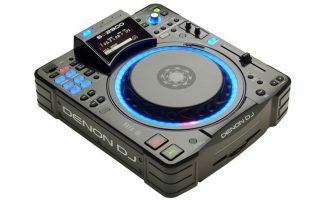 For DJs with more complicated set-ups, the unit can work with a DMX control box, and can also be used as either a master (with DMX “slave” units attached to it) or as a slave to another “master” unit. The various program presets cover most use case scenarios, making it versatile for the average DJ playing smaller parties and events. As stated earlier, you get a lot for your money here. An important thing is that it “looks the part”. 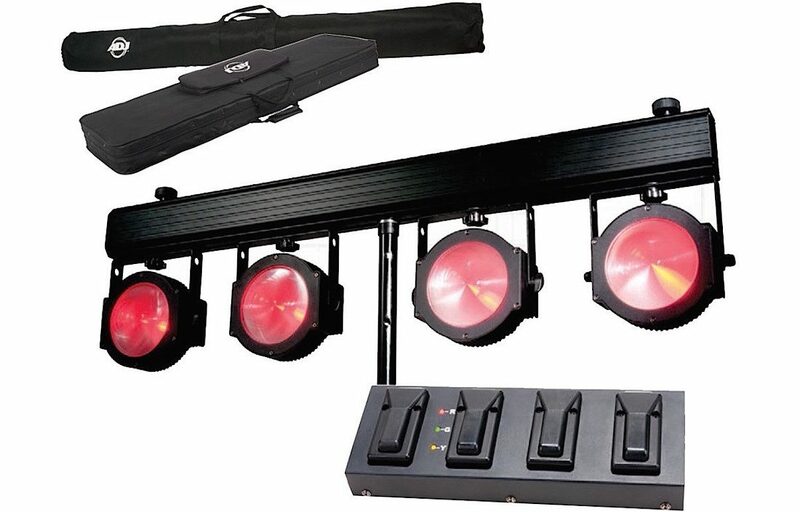 If you’re booked to play a show and you show up with neatly flightcases DJ gear and this as your sole lighting system, the perception will be that you have enough to do the job. Sure it ain’t gonna work in a huge venue, but for smaller parties in bars, lounges (and of course house parties), you’re in here. The versatility is a plus point (simple mood lighting for before the show, for example at a wedding, and then more “in your face” lighting for later, all from the same unit), and the fact that you can have it reacting to your music through the built-in mic, although pretty common on lighting these days, is a real bonus for true “plug and play”. 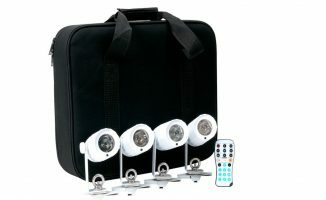 Complete with all cases and cables, it’s a good way to get started in the world of lighting. I can’t see myself ever wanting to use foot pedals for triggering the lighting (maybe performers who use this as their “bring your own” stage lighting would have a better use for this), but I do like the remote control, notwithstanding its kitsch 1970s look, complete with retractable aerial! Overall, the Dotz TPar is good value, capable, sturdy, and a great purchase if you don’t have your own lights at all; it is easy to set up and take down, has its own stand built in, and you can add more lights to it as you see fit. Plus the multiple ways of controlling it (and easy auto modes) make it a low maintenance addition to a DJ rig – important if you just want to “set and forget” when you’re playing. 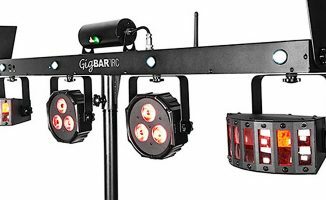 Do you like the look of this for your first lighting rig? Do you own something similar? Please share your thoughts in the comments.